Nagpur: The Maintenance, Repair and Overhaul (MRO) in Nagpur is staring at a big letdown even before it could finally take off, thanks to the excessive tax being imposed on it along with other MROs that operate in the country. This has resulted into home grown airlines knocking door of foreign shops and outsourcing their business to international MROs. On the other hand the Indian domestic MROs are resting their hopes on international airlines to whom they provide tax-free incentives and keep away India-registered airlines away from the benefit due to heavy taxes. 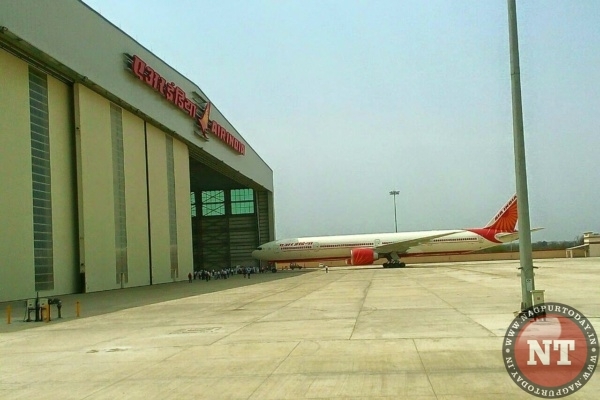 AAR Indamer Technics, one of the three MROs in the country is ready to operate in Nagpur. Besides Air India Engineering Services and GMR Aero Technic also runs MROs in special economic zones in Nagpur and Hyderabad. The increased taxation on Indian MROs has prompted India-registered airlines to outsource 75 percent of the country’s $1.4 billion MRO business to international counterparts of Indian MROs. Taking serious note of the situation MRO Association of India (MAOI) has written a letter to the Ministry of Civil Aviation and demanded to pay urgent attention to the declining industry. In the letter, MAOI has appealed for a fair chance to compete with foreign MROs that enjoy a favorable import tax policy. However, no response has come from the government. Malkani opined that jobs could return to India if authorities correct the country’s tax imbalance. His own company, Max Aerospace, which provides avionics and components repairs to airlines including KLM-Air France, could expand into high-tech provision in a so-called level playing field, he said. “As workloads increase, so do savings for airlines,” he concluded.